Perhaps you’ve heard the term “gut health” tossed around recently but aren’t quite sure what it means. When someone refers to “the gut,” they’re not talking about a “dad bod” beer belly, but rather, the human digestive system: mainly, the stomach and the large and small intestines. “The ‘gut’ is a term used to describe the intestinal tract, specifically the stomach, small intestine and large intestine, also called the colon,” said Dr. William Katkov, a gastroenterologist at Providence Saint John's Health Center in Santa Monica, Calif.
What exactly does all of this have to do with your general health? For one thing, according to Megan Pennington, a certified holistic health counselor with a bachelor of science in dietetics and human nutrition, about 70 percent of the body’s immune system resides in the gut. “When the immune system is compromised, such as is the case when gut health is compromised, we are at increased risk for autoimmune diseases, bacterial overgrowth, colds, flus, cancer, allergies and many other conditions,” she explained. Plus, not only does the “gut” play a pretty large role in digestion and absorption of nutrients, but it actually affects a pretty wide range of other processes within the body. According to The Sweat Life contributor Stephanie Middleberg, M.S., R.D., C.D.N., an unhealthy gut can contribute to diseases like diabetes, obesity, arthritis, cancer and depression, and about 80 percent of the body’s serotonin (“the feel good transmitter”) is located in the gut. She also mentioned that gut health is associated with skin conditions like eczema and even chronic fatigue. Essentially, it’s an important and nearly all-encompassing part of good health. So then, how can we make sure to take care of it properly? “A healthy gut is achieved by all of the strategies we use to maintain good general health, like diet and exercise,” says Katkov. “Many factors play a role in a healthy digestive system, including stress, age, genetics, food additives and chemicals, and physical activity,” Pennington added. Basically, if you’re taking good care of yourself by exercising regularly, getting adequate amounts of sleep, managing stress and eating a balanced diet that includes a wide range of nutrient-dense whole foods, you’re likely ensuring good health for your digestive system, too. However, Pennington points out, there are certain foods you can consume that can help maintain a healthy variety of bacteria in your gut. 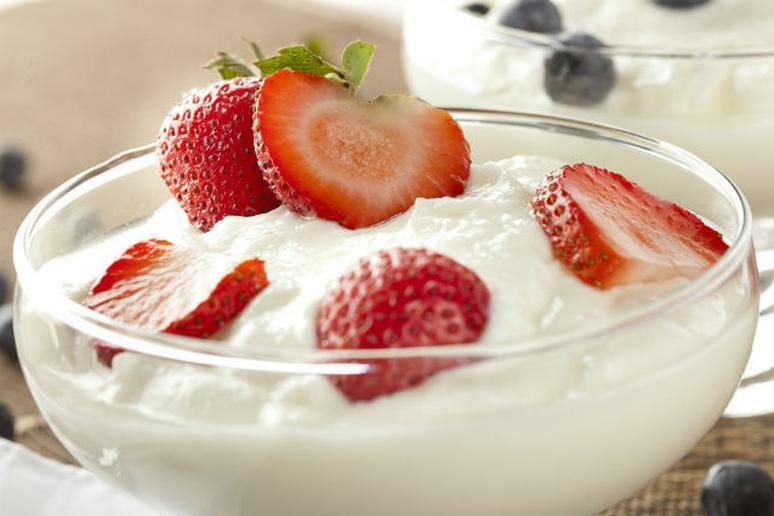 She suggests probiotic-rich foods (or foods that contain “healthy bacteria”) like yogurt, sauerkraut, kefir, miso and raw vinegar. “If fermented foods are not part of your diet, taking a probiotic supplement is strongly recommended,” Okezie added. According Okezie, for a truly healthy and balanced gut, you should also cut back on or avoid sugar, refined carbohydrates, processed foods and excess animal protein. Additionally, she said some common signs of an unhealthy gut, or “gut flora imbalance” include constant gas and bloating, constipation or diarrhea, fatigue, headaches and nausea, constant sugar and carb cravings, chronic joint pain, skin problems, frequent illness, and even depression or mood imbalances. Ultimately, Okezie says that when it comes to optimizing your health, the importance of a healthy gut cannot be overemphasized. “If you want better immunity, improved digestion and better mental clarity put your focus on rebuilding your gastrointestinal health,” she said.